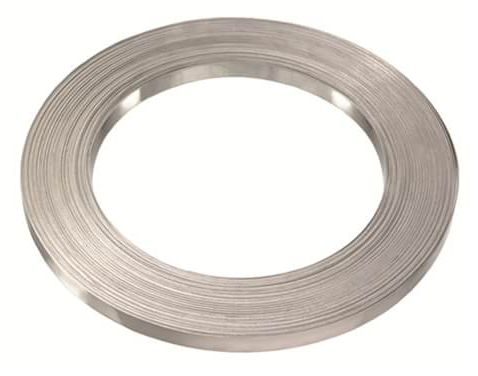 APP’s Stainless Steel Banding (BI-C204) is used to secure our ProTek, CryoTek, and AeroTek product line. We have chosen stainless steel for its corrosion resistance and longevity. The banding is made of type 201 stainless steel and comes in 100 foot rolls. It has been an industry standard for over 60 years with its superior yield and tensile strength properties. The banding comes in a 100 ft. roll and can be easily dispensed from the box. The edges of the banding are rounded and smooth for safety and easy installation purposes. Custom Manufacturing Available in ½” or ⅝” width by special request. Also available in powder coated or carbon steel finish.